Item # 291659 Stash Points: 97 (?) This is the number of points you get in The Zumiez Stash for purchasing this item. Stash points are redeemable for exclusive rewards only available to Zumiez Stash members. To redeem your points check out the rewards catalog on thestash.zumiez.com. 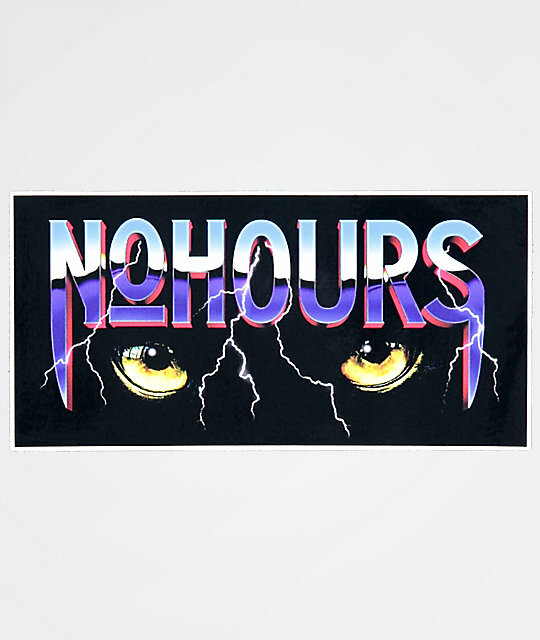 The Savage sticker from NoHours features a set of golden yellow eyes within a black rectangle and NoHours above with lightning bolts striking down. Savage Sticker from No Hours.